It seems as though today’s world is nothing but hustle and bustle. How often do you feel that there is not enough time in a day? One of the chores that tends to bog down weekly to-do lists is the trip to the grocery store. Between selecting foods and waiting in long lines, a trip to the grocery store can take forever. Thankfully, a new grocery delivery service, Shipt, seeks to solve that problem. Shipt is an up-and-coming grocery delivery that offers same-day services to its customers. When using Shipt, you are able to shop and schedule a delivery whenever is most convenient. There is no limit to how often you can schedule deliveries. Prefer your produce fresh? Hosting a dinner party and missing a key ingredient? Forgot your favorite snack during your last order? Shipt will deliver at any time. Shipt was launched in Birmingham, Alabama in the summer of 2014. They were founded with the simple goal of simplifying lives and seek to offer freedom and convenience to their communities, members, and shoppers. The grocery delivery service allows customers to save time, headspace, and gas. The service uses your local grocery store, ensuring that your food is delivered fresh. Shipt uses local employees. They do not utilize a corporate structure, nor do they ship using warehouses and boxes. 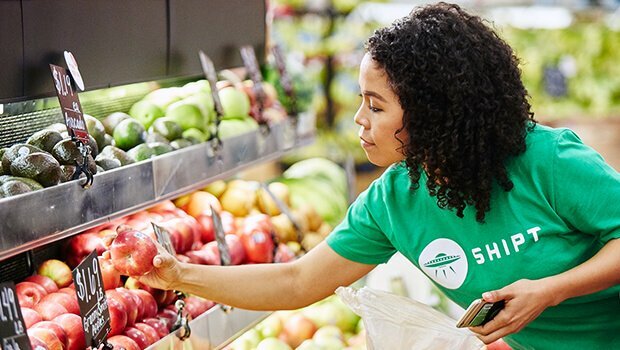 Shipt employees hand-select products in the grocery store from the list that you provide them, just as you would if you were going to the store yourself. Shipt vets their shoppers, which has allowed them to build a reliable network of shoppers who they can trust. These shoppers are able to set their own schedule. This not only benefits the shoppers, but it also benefits the customers. Because they work at times most convenient for them, deliveries tend to be quick. The company also recently introduced a rating system for their shoppers. Additionally, Shipt has moved to build relationships with the stores their shoppers use. The company has said that by partnering with retailers, their shoppers are able to shop more efficiently, able to move through the store quickly. Doing so has also allowed the company to offer a full array of goods to their customers, currently offering over 40,000 items. 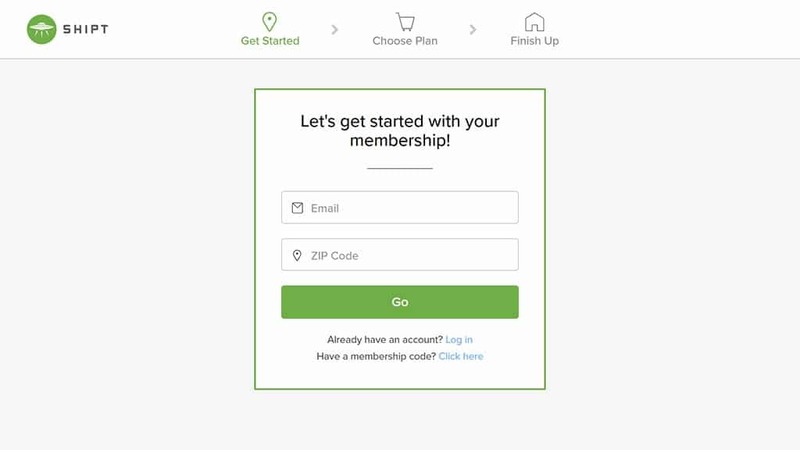 To use Shipt, you should first visit their website and scroll down to the section that allows you to enter your zip code. Shipt is a fairly new service, so they have not been rolled out to the entire country yet. If Shipt is not available in your area, you can enter your email so that you are notified when the service launches in your neighborhood. If the service is in your area, you’ll sign up and pick between two plans. The annual plan is valued at $8.25 per month, billed once per year at $99. The monthly plan costs $14 per month and is billed 12 times per year. The company guarantees that you’ll be happy with the service. They offer a risk-free trial and allow their customers to cancel at any time. Membership grants you access to the Shipt platform, which is available for iOS, Android, and the web. With a membership, customers will receive free delivery on all orders more than $35. Founded in the southern United States, the service is currently more prominent in states like Florida. The service is currently offered in 72 cities. However, the company has said that they are expanding to new locations weekly. As a grocery delivery service, there are a few things that make Shipt unique. This sets Shipt apart from the physical experience of shopping in a grocery store and from other delivery services. There’s no denying that Shipt’s biggest offering is convenience. Deliveries from Shipt can be made in as little as one hour. When factoring how long it takes to drive to and from the store, plus the time spent shopping, a trip to the grocery store will likely take at least this long. However, you’ll be able to do other things in that time as you wait for your order to be delivered. Shipt is much like a live grocery store experience without the hassle. Customers are able to communicate with their shoppers during the experience. This is convenient in case a store has run out of a product you’ve requested. Customers can ask their shopper to look elsewhere, pass on the product, or purchase a substitute. As mentioned, Shipt works with a certain number of grocery stores. The company has been working to expand their offerings, but they may not currently offer deliveries from your favorite store. While you can ask Shipt’s customer service to begin working with a specific store, there’s no guarantee that they’ll begin doing so. For those that are loyal to a brand, this may pose a problem. But because you’re not shopping for the groceries yourself, we don’t think this should be a deal breaker. Shipt has a very large product offering, so there’s a good chance that you’ll be able to find your favorite brands even if your favorite store is not listed. Different Shipt markets focus on different stores. For example, users have reported that in Nashville, Shipt tends to use Publix for most of their shopping. But in Florida, the company tends to use Kroger’s for most deliveries. It seems as though they focus on working with quality, regionally-based grocery stores. They have also begun working with Costco to provide more bulk options for their customers. 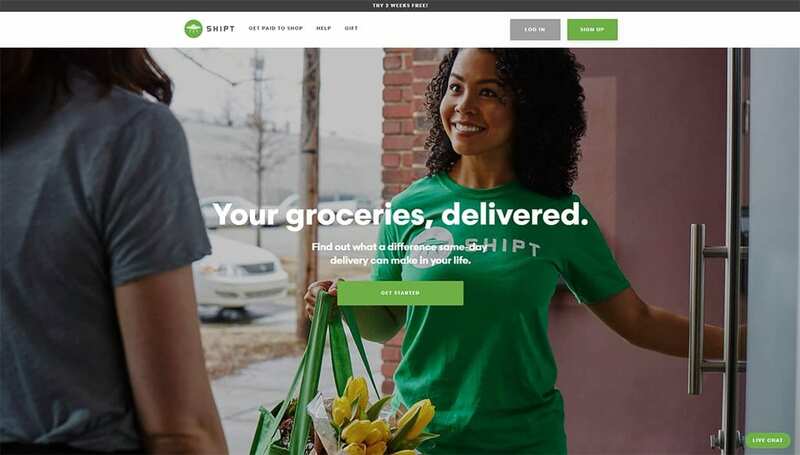 While other grocery delivery services offer deliveries from multiple different types of stores, Shipt focuses on grocery stores and liquor stores. This allows the company to bring a comprehensive offering to their customers with a wide product selection. Additionally, many other grocery delivery services don’t offer alcohol delivery. Whether you’re in need of a bottle of wine for dinner or liquor for a party you’re hosting, Shipt has you covered. The biggest benefit to using Shipt, however, is the ability to set delivery times within an hour. Many other grocery delivery services don’t offer this flexibility. By allowing you to set delivery times throughout the day, Shipt can be used if you’re in a last-minute pinch or know that you won’t be home until later in the evening. Shipt also allows customers to add notes to their order, which can provide further instructions for the shopper, helping to ensure that the order is perfect. Furthermore, customers are able to choose substitute preferences in case their original choice is unavailable. Lastly, customers are able to change their order within an hour of placing it. All of these add up to help make sure customers are satisfied. By purchasing a $99 annual membership or a $14 monthly membership, members gain access to unlimited free deliveries, assuming that their order is greater than $35. If it is not, customers must pay a $7 delivery fee. Additionally, liquor deliveries may also be subject to a $7 delivery fee, regardless of how much is purchased. Shipt users know the price of products when they select them. The price that customers see in the app is the price that they pay. However, these prices are slightly higher than in-store prices. 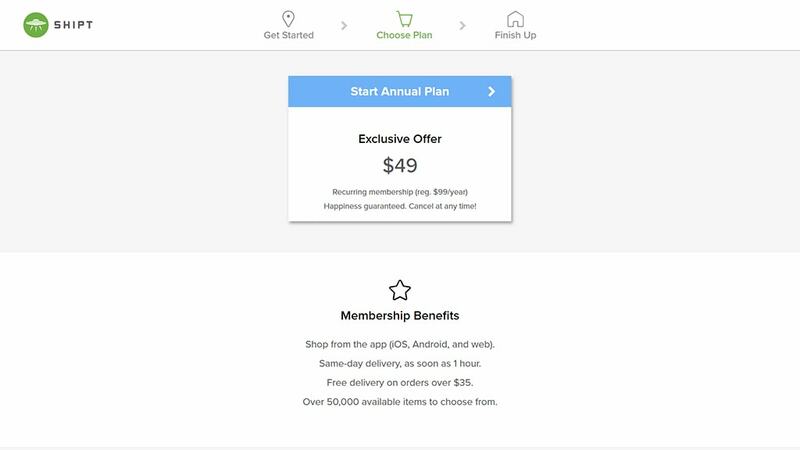 According to the company’s Frequently Asked Questions Pricing page, the in-app prices are adjusted to help pay their shoppers. For example, a loaf of bread costs approximately $.30 more in the Shipt app. The company has said that customers can expect to pay about $5 per order than they would if they shopped at the grocery store themselves. But when factoring in gas and the convenience factor, this cost is minimal. Shipt is different from other grocery delivery services like Peapod, which is affiliated with particular grocery stores. Shipt focuses on the grocery stores most prominent in your area. Because Shipt is not affiliated with one particular chain of grocery stores, they are able to bring more products to their customers. Shipt is also able to focus on the shopping experience. Customers have indicated that Shipt shoppers are thoughtful and friendly. They also like that the shoppers communicate with you throughout the process, ensuring that customers receive the best order possible. This gives the Shipt service a much more personable feel, setting them apart from grocery delivery services offered by larger corporations. Have you used Shipt? If so, let us know! Share your thoughts in the comments below. The number of products available for purchase from Shipt sets them apart. This grocery delivery service is much different from other options in the meal box industry, which deliver pre-portioned meals and are typically expensive. With both types of services, you’ll still end up having to cook your meal. But Shipt gives you the flexibility to select the ingredients you want to help craft the perfect meal. Additionally, Shipt customers are able to shop for all of their meals, not just lunches and dinners. Even snacks can be purchased by using Shipt. Our team truly feels that Shipt is one of the best grocery delivery services available. The cost of membership is a small cost compared to the convenience offered. The wide array of products offered ensures there’s a good chance that customers receive everything they’d like. The only downside to Shipt is its limited offerings. The company has recently expanded into Chicago. It’s our hope that the company will continue to expand throughout the country. If you sign up for an annual membership, you will first receive a free two-week trial to ensure you like the service. You will not be charged for the annual service until after this two-week trial. Customers have reported that Shipt offers in-app specials on items. However, customers are unable to use manufacturer coupons or store coupons. This is likely because of the partnerships that Shipt has created with the stores that they use. Shipt is one of the best grocery delivery services available. They work with a certain number of grocery stores and offer a wide variety of products, in which you’ll be able to find your favorite brands. Another thing is that their membership fee is lesser compared to others and delivery time is set within an hour. The only downside we could find is that Shipt has a limited offering in terms of location but they are starting to expand throughout the country.